What is Galentine’s day? It’s a day for celebrating the amazing women in your life — starting with yourself! Of course, Galentine’s day wouldn’t be complete without your friends. Make sure they get their free Personal Care Kit from Grove by sharing this offer with them. Day 1: What could be more relaxing than a hot bath? 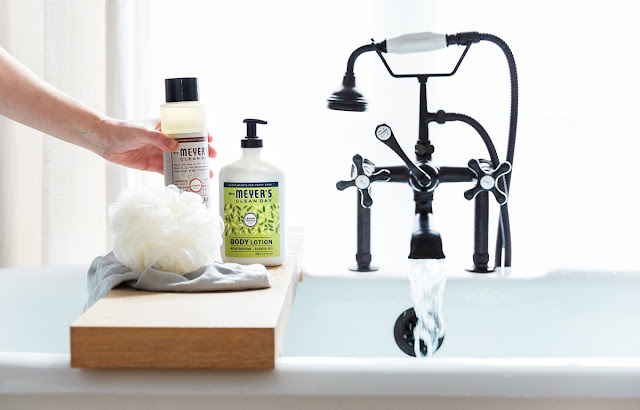 Run warm water, add a handful of flower petals, and a squirt of Mrs. Meyer’s body wash for a luxurious soak. You can’t go wrong with any of Mrs. Meyer’s scents, but I chose lemon verbena because it reminds me of a spa. Day 2: You deserve to use the best products for yourself! 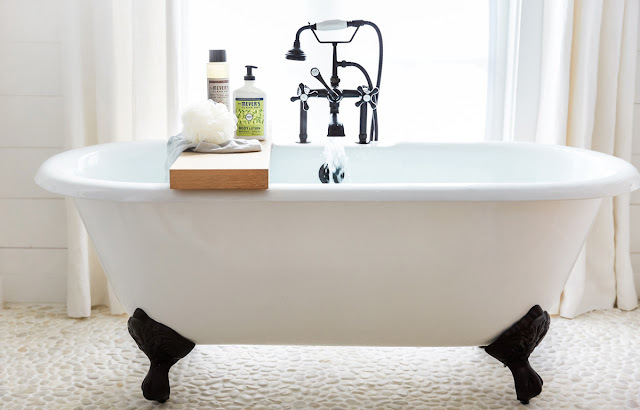 Even something as simple as a new loofah can make your shower routine feel special. This one from Grove is so soft and fluffy! Day 3: Has dry winter air sapped all the moisture from your skin? 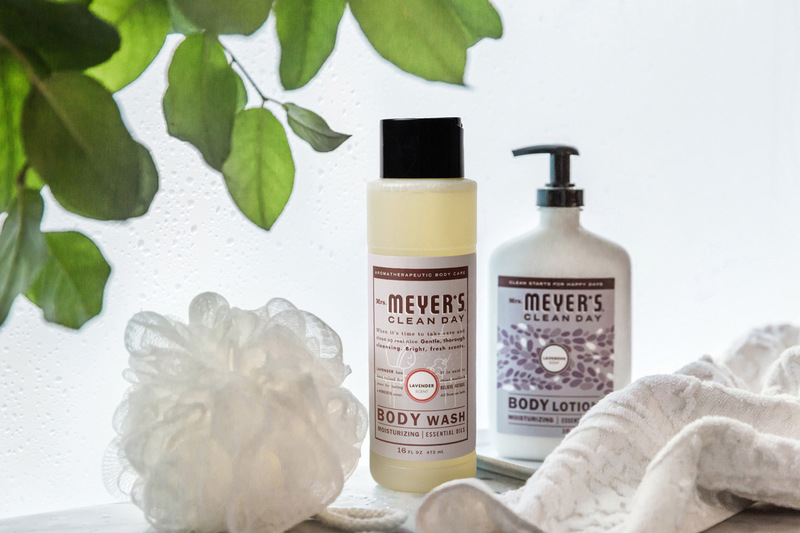 Mrs. Meyer’s body lotion is filled with hydrating ingredients like shea butter and olive oil to leave your skin deeply nourished. Day 4: Even if you don’t have time to hit the salon, you can give yourself a salon-worthy manicure at home. After you file and polish, follow up with Mrs. Meyer’s luscious hand lotion. Day 5: My mom taught me that there’s nothing more beautiful than a smile! For a smooth pout, combine equal parts sugar and Grove skin superfood coconut oil and gently rub into lips to exfoliate. Then slather on Grove lip balm to lock in moisture. Day 6: Skip the take-out and whip up a healthy, delicious new recipe. Don’t worry about dishes afterward — toss them in the sink to soak with a dollop of Mrs. Meyer’s dish soap. It contains lauramine oxide, a plant-derived ingredient that powers through grease. Day 7: It’s easy to feel like you don’t have time for self-care. One way to make more time for yourself is to use a subscription service like Grove Collaborative. Grove delivers your favorite natural household and personal products to your doorstep, on your schedule. Bonus tip: Once you’ve submitted your Grove order, you’ll be signed up for the free 60 day VIP trial. Grove really pampers their VIPs with free shipping, free gifts, price matching, exclusive sales and personal service.